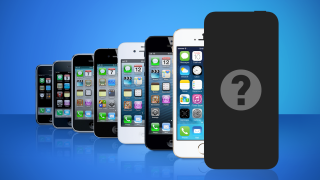 Is iPhone 6L Apple's chosen name for the larger 5.5-inch handset? The rumoured larger iteration of Apple's next-gen handset will be called the iPhone 6L, according to a Chinese website which claims to have obtained components and spec details. The AppleDaily site has posted photos of what it claims to be the 4.7-inch and 5.5-inch display components for the respective iPhone 6 handsets. Along with asserting the iPhone 6L moniker, the report also claims the bigger model will also have a larger 2915mAh battery, while a 1810mAh cell will power the 4.7-inch version. The larger battery would be necessary, of course, to power the larger display. Naturally, the report can be classed as speculation, so we'd advise you to take it with a large dose of salt. If the device does turn out to be called the iPhone 6L, then what of the 4.7-inch device? Let us know your thoughts in the comments section below. Is this the iPhone 6 in its retail box?